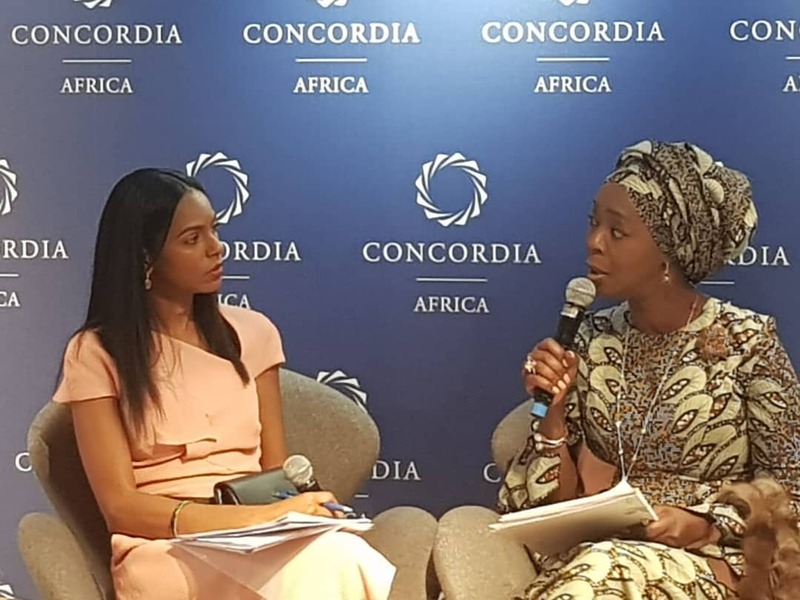 Toyin Saraki, Founder-President of the Wellbeing Foundation Africa, today addressed the inaugural Concordia Africa Initiative, founded by Nicholas Logothetis, with global leaders including Cherie Blair, H.E Olusegun Obasanjo, Former President, Federal Republic of Nigeria; H.E. Liu Xiaoming, the Ambassador of the People's Republic of China to the United Kingdom, and Madame Monica Geingos, First Lady of the Republic of Namibia. Mrs Saraki challenged those convened at Concordia to approach a new paradigm for aid as co-investment as opposed to the donor-beneficiary narrative. "We must approach our challenges from a position of honesty and move away for the 'aid narrative.' Co-investment from communities is necessary for sustainable impact - if only from the perspective of human resources." "There are inherent strengths which make African-led philanthropy particularly effective. I identify these primarily as the fact that our work is community-led and therefore both more effective and sustainable; and the flexibility which comes from embedded networks leading to the ability to influence policy decisions at a national, regional and global level with data-driven advocacy." "We have the brain power and excellence in Nigeria and throughout Africa to bring our health indices up to global standards. To build capacity we must in part look to strategic partnerships to help us deliver results to the frontline." "African-led foundations are able to work with our own communities – not by foisting an external model on them, but by working with them to identify key issues, build up their own champions, and allocate resources, where needed, efficiently and with the buy-in of those who will act as service providers and as service users." "We cannot accept lower expectations or the notion that aid is any form of long-term solution. It is not: we should aim for a global standard in all that we do. It has been shown time and time again that we have the capability to achieve on a global level as a nation and as a region once we have the necessary tools, training and infrastructure to do so. Addressing those gaps is part of our challenge in achieving excellence and I believe that partnerships on an equal footing – not aid – are one of the tools we can use to do so."